Taking in a lodger has become increasingly popular with homeowners who need extra income to cover mortgage payments. Whilst sharing one's home with a stranger might not be for everyone it can be a quick and easy way to boost income. Some lodgers may live in the property full time whereas others may only be there during the working week or during term time if the lodger is a student or teacher. Many residential mortgage agreements state that the mortgaged property is to be lived in by the borrower or borrowers and their immediate family only. Were a borrower to put a tenant in the property, they would usually need the written consent of their lender or risk being in breach of the terms and conditions of the mortgage. A mortgage lender who agrees to a tenant living in the property may change the terms of the mortgage by, for example, increasing the interest rate charged. Where a borrower intends to continue using the property as their home but wants to take in a lodger to help with the bills a mortgage lender may consent to this without changing the terms of the mortgage. However, the mortgage lender should still be consulted before a lodger moves in. Homeowners who take in a lodger without consulting their mortgage lender may find that they are in breach of their mortgage terms. The company who provides building and / or contents insurance for a property must also be consulted before a lodger moves in. The insurance company will almost certainly consider a lodger to represent a change in circumstances. This is likely to negate the insurance policy – invalidating any claims the homeowner subsequently makes on it. Therefore, the insurance company’s authorisation should be obtained before a lodger moves in. Owners of leasehold properties should consult the terms of their lease or check with the owner of the freehold to ensure that they will not breach their lease by taking a lodger. Having a lodger may also affect the homeowner’s entitlement to certain state benefits. Therefore the lodger should be declared to the relevant agencies. Failure to do so could mean that the homeowner has committed benefit fraud. Under the government’s rent a room scheme a homeowner may rent a room within their own home to a lodger and earn up to £4250 per year without paying tax on this income. The lodger may have use of more than one room to qualify under this scheme but the property must be the homeowner’s only or principal home. Any extra charges the lodger pays towards additional services provided by the homeowner – such as meals or cleaning – are included in the £4250 for tax purposes. Expenses incurred by the homeowner in respect of the lodger may not be written off against tax. The rent a room scheme may not benefit all homeowners but may help those with minimal lodger income and expenses. For those who do not join the scheme the income earned from a lodger must be declared in the usual way for tax purposes as income from property. A lodger is someone who has a room or rooms in a property but shares other rooms or facilities with the homeowner. Provided that the lodger shares facilities – usually at least the kitchen and bathroom - with the landlord no tenancy is required and there is no need to have a formal, written agreement. However, a written agreement setting out the terms under which the lodger is to live in the property means that everyone knows where they stand and may avoid arguments at a later date. Great care should be exercised before allowing a stranger to move in – especially if there are children in the household. All the checks which would be made for a full tenant should also be made before taking in a lodger – including character references and credit checks. Even if a person is recommended by a friend or an apparently reputable agency these checks should still be made before allowing a lodger to move in. 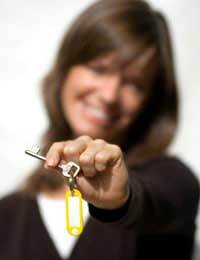 A lodger is not a tenant and has very few rights to avoid eviction if the landlord wants them to leave. In order to remove a lodger the homeowner is only required to give reasonable notice that the lodger is to leave the property. A court order is not required to evict a lodger. However, if a lodger refuses to move out, it may still prove necessary to get a court order to force them to leave. I am having the problem of being evicted by a mortgage lender or rather they that have the second charge on the property, the sub prime lender Capstone and I believe that the judge was given false information by them to grant them the order.I want to appeal it as I have fresh information that proves that we were not in arrears when it was granted and that they got it under false circumstances.They are now claiming we owe £8000 when it is them who have lost the payments and they have confessed that they lost the payments, apologised, found the payments and then when our representative pulled out, due to problems contacting Capstone, they then lost the payments again.We have tried to fight them to get the payments found, told them the details, they have ignored us and now gone to court for an eviction date.I believe the judge was wrong.How do I appeal?